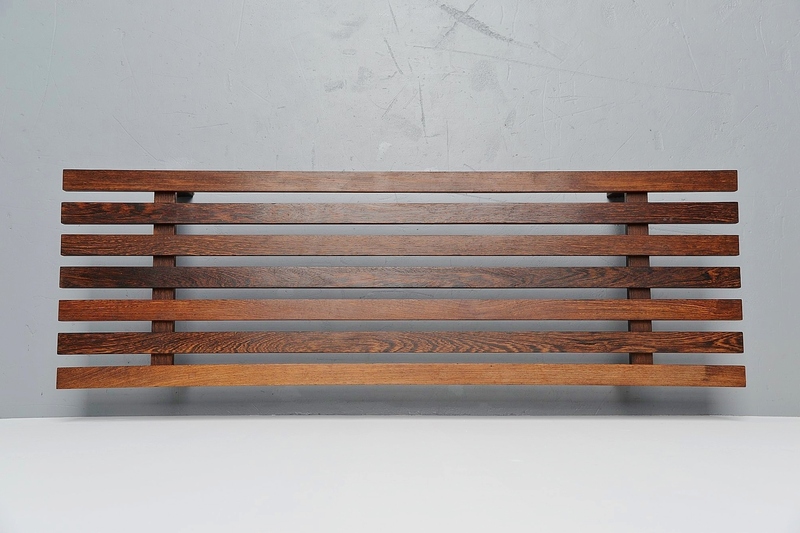 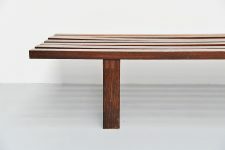 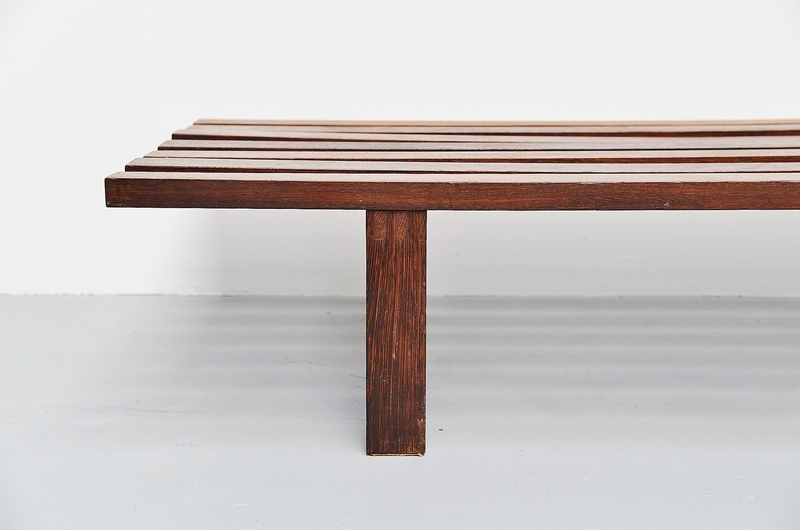 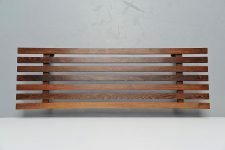 Nice large slat bench designed by Martin Visser, manufactured by 't Spectrum Bergeijk, Holland 1965. 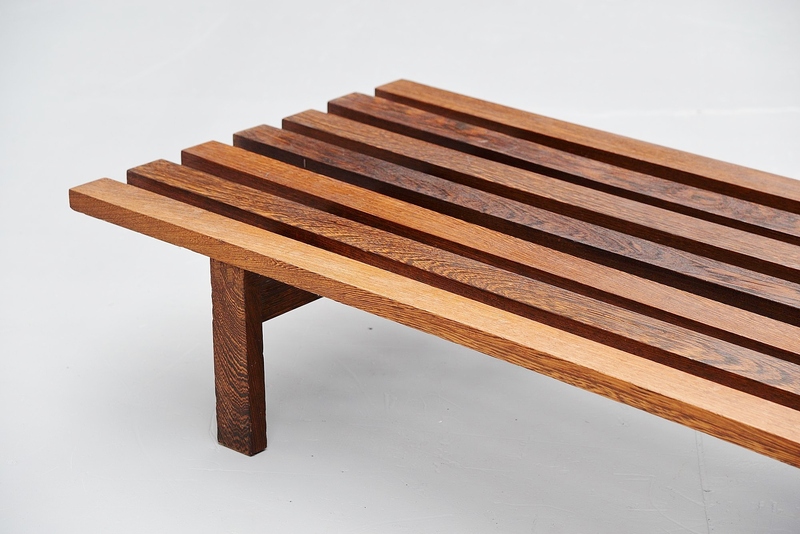 This slat bench is made of solid wenge slats and is very strong. 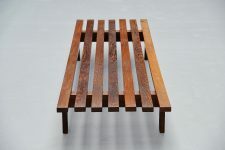 Its was originally designed for Stedelijk Museum where it was uses as benches to sit on in the museum. But this can also be used as side table, tv table etc. 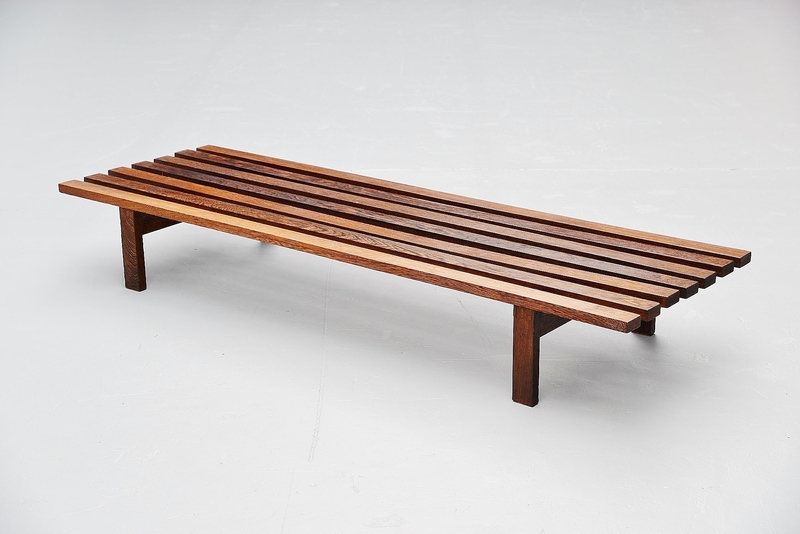 Its a bit in the manner of the slat bench by Charlotte Perriand but in Wenge wood its very nice and special looking. 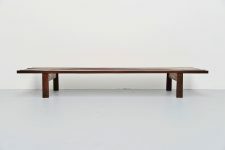 This is the largest version available, can also be used as daybed if you put a mattress on it.